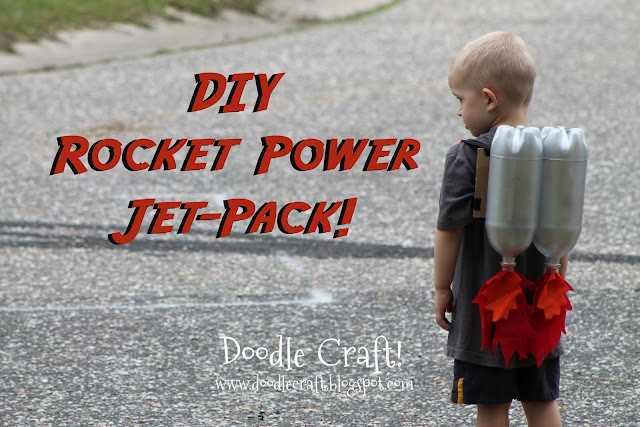 Doodlecraft: DIY Rocket Jet Packs: Family Edition! DIY Rocket Jet Packs: Family Edition! This Rocket Power Jet-Pack is BY FAR, my most popular post! Really though, what's not to LOVE about jet pack imagination??? felt flames, and a ton of imagination. I made it for the *then* 3 year old. wished that they could have one too! Done and Done! Easiest 20 minute project ever! They are so sweet to each other. I'm one happy mama!